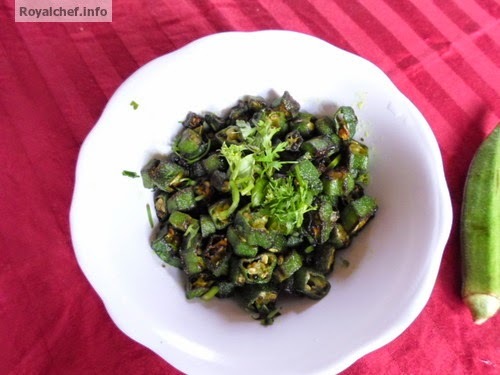 This is a Recipe for preparing at home Spicy Dry Lady Finger Vegetable or Suki Khamang Bhendi chi Bhaji, prepared in the authentic and typical Maharashtrian Style of cooking. 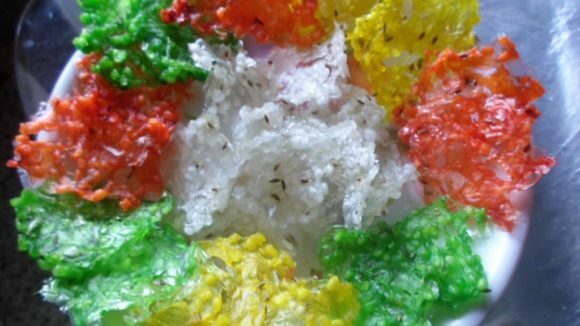 Wash the Ladyfinger, keep aside for 5 minutes to dry them, and then cut round pieces. Heat the Oil in a Kadhai and prepare the Tadka and then add Salt and the Lady finger pieces which we have cut in round shapes. Mix it well. Then cover with a stain less steel plate for 1 minute. Remove plate and cook for 2-3 minutes on a slow flame. Garnish with the Coriander and serve hot with Chapati.